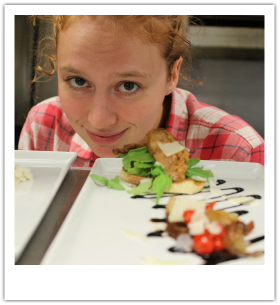 Molly (Newark, NY): 3rd year in the kitchen; sous chef. Loves hiking, sleeping outside and of course fabulous food! Completed hiking the Appalachian Trail Aug 2013. Molly begins hiking the Pacific Crest Trail May 2015.